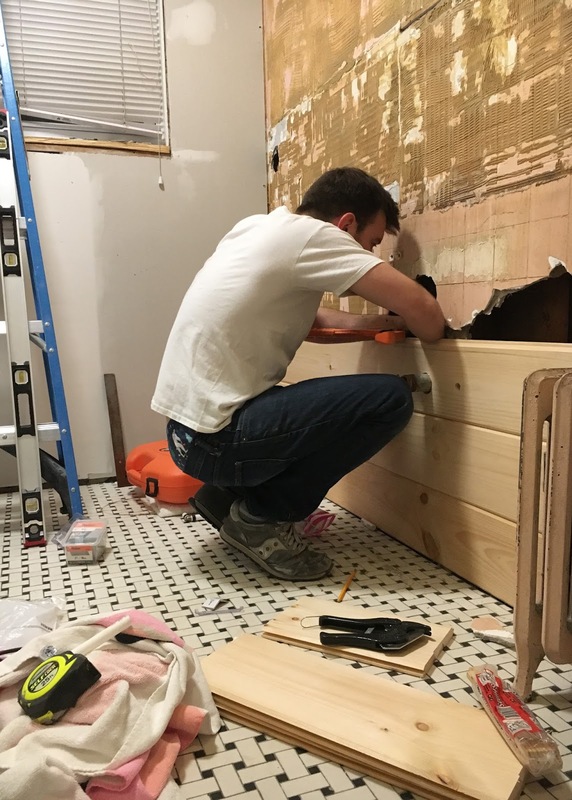 I am frequently asked how we get all of our projects done while raising our four girls. My answer is simple. We don't always get it done. At least not right away. All projects take time and some level of planning but you have to be ready for some surprises. Sometimes things don't work out how you have planned and the more prepared you are for that to happen the better the outcome and less stress you have along the way. We have eaten more fast food meals on the floor than we would like to admit. We have painted from sun up to sun down while our girls run wild around us taking breaks to get them snacks, meals or anything else they may need. We (read as Brian) have tiled long into the early hours of the morning only to catch a quick nap and get to our day job. There are days that our girls are so sick and tired of our projects, or literally sick and tired, that we have to divide and conquer or just call it a day. There are also days where every single one of them wants to help and all of a sudden we find ourselves surrounded by four little girls with paint brushes and rollers ready to get to work. When we moved into our house we only had one working toilet and a sink. No shower. No bath. It stayed that way for the first week we lived in the home. We found ourselves traveling back and forth to our empty apartment a few blocks away to shower and bathe the kids. Was it convenient, hell no. Things happen and timelines change but we made the best of it. 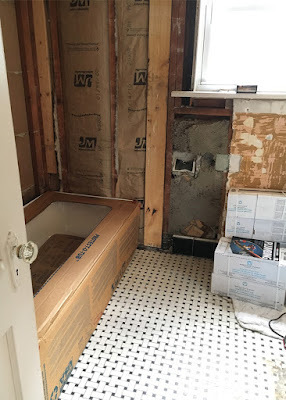 It was stressful then but we laugh about it now, at how crazy we were to think we could refinish the hardwood floors, gut the main bathroom and also move in a two week time period while we were both working and the girls attended school. Oh, and did I mention that we had also planned to paint all of the rooms on the first floor?! Ha! We were delusional, but here we are eight months in and the projects that need to get done are getting done and the projects we want to be doing are moving up on the list. My advice is this. Don't be afraid to let your kids help. If they have no interest in helping, plan a movie day with some fun snacks for them while you work. Always measure at least twice, and three times if you get interrupted. Most importantly, roll with the punches. Plan to take your time and if your project gets done ahead of schedule give yourself a pat on the back and pour yourself a glass of wine. If it doesn't get done on schedule, pour yourself a glass of wine, get a good night sleep and get back to it tomorrow. You've got this! Pictures of how our bathroom looked when we first moved in.